Pedestrian crossings in Munich often have a sign saying “Set an example to children” Something we should all remember to do. Birds never sang in Dachau even though there are many trees, because birds do not like the smell of death. 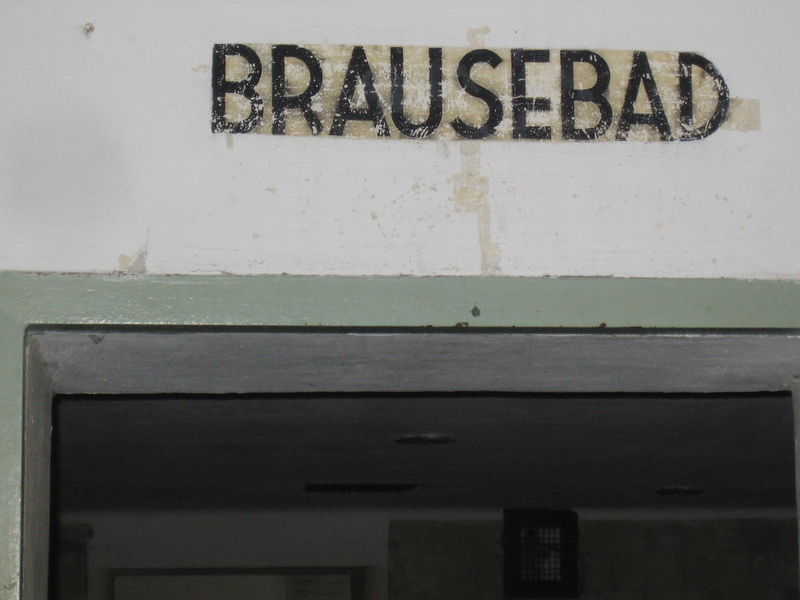 Brausebad is the old German word for shower. It was written outside the door of the “shower” in the camps. After WW2 they were not allowed to use that word anymore and it became douche instead. Nazis are big business in Germany. You can take a third Reich tour in Berlin and Munich. 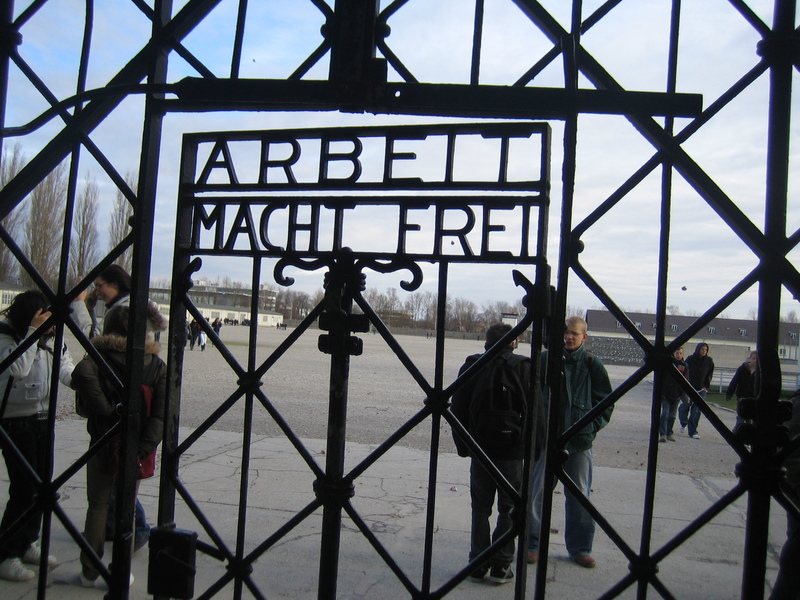 You can visit Dachau outside of Munich or Sachenhausen outside of Berlin. In the tourist bookstores you can buy Hitlers Favorite Places in Munich, Famous Nazi’s of Munich, and Hitler’s Berlin or Hiltler’s Munich.. I was in Munich in November and missed Oktoberfest. I didnt have to bring my lederhosen and dirndl and missed the overindulgence of beer and pretzels , beer and weisswursts, beer with sauerbraten , beer with potatoes and beer with beer. Weisswurst breakfast which consists of boiled white sausages in milk that you eat by sucking out of the casing, with a fresh baked pretzel and mustard is surprisingly delicious. A sign seen in a Munich store window “Wurst Fuchs”. The German New Wave Goth Punk teenagers are not people you want to share a train car with. 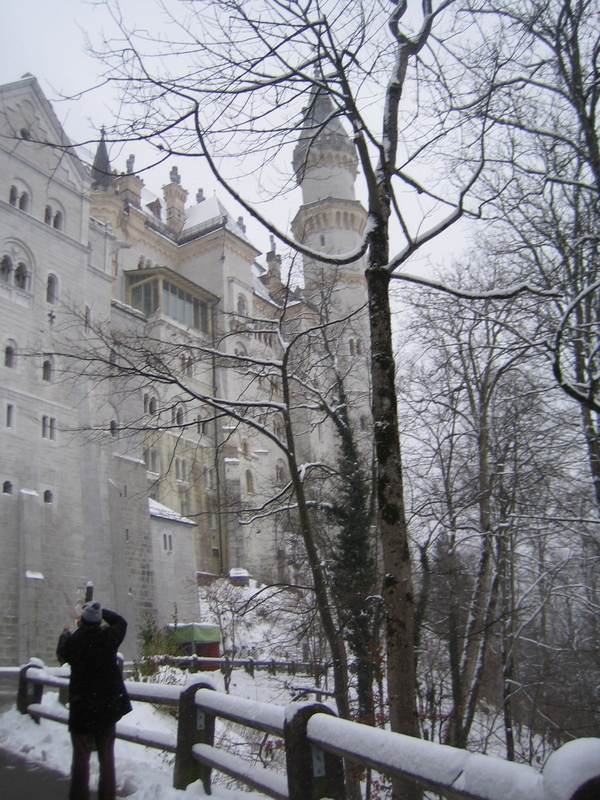 Neuschwanstein castle in the Bavarian Alps (the sleeping beauty castle) is probably best visited when it isn’t snowing. Munich being closer to Milan than it is to Berlin has amazing Italian food and great pizza. Whenever you are in a coed sauna (especially if it says naked area) in eastern Europe and Germany just know that it will be inhabited by fat, old, naked men. In the 1960’s and 70’s the next generation of Germans were horrified when they learned what their parents have done. I had this feeling in Munich and Berlin. 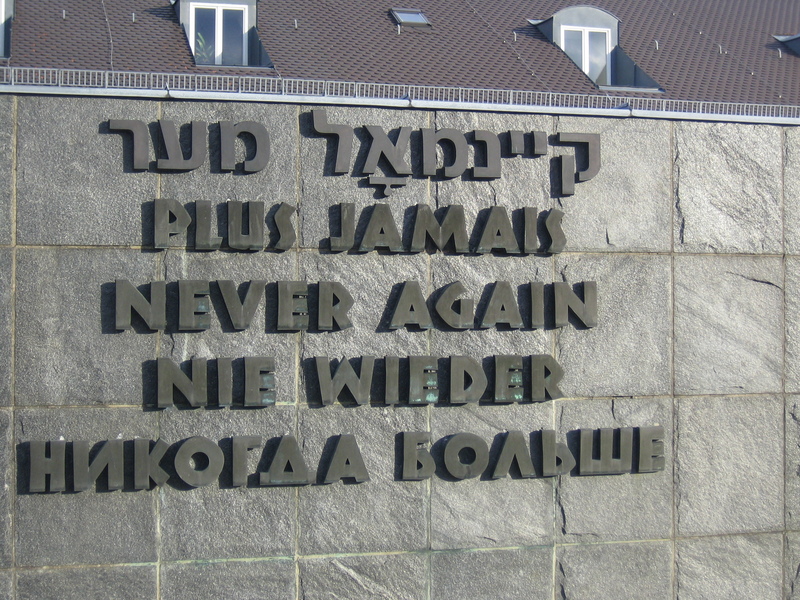 Dachau, the Resistance Museum , the Jewish memorials and the Jewish museum were filled with school children on class trips. 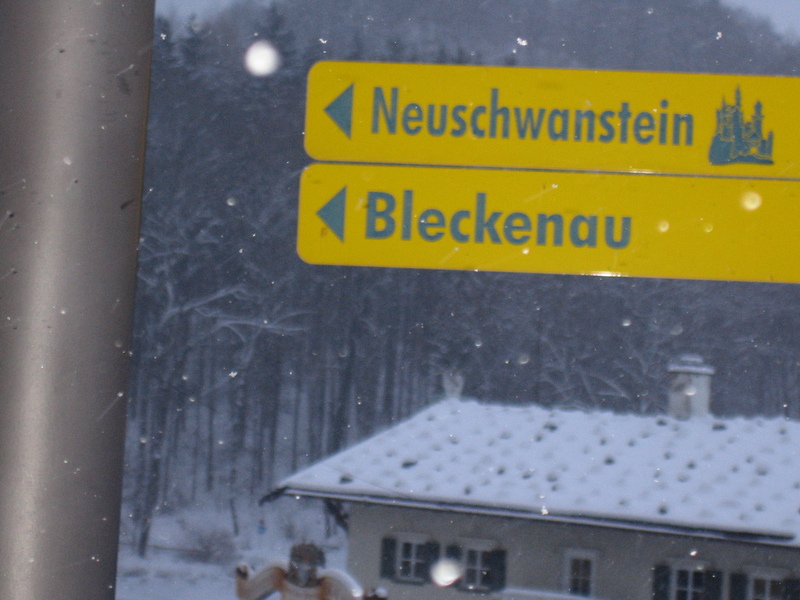 This entry was posted in Germany, Munich, travel and tagged Germany, Munich, travel by jaynezak. Bookmark the permalink.